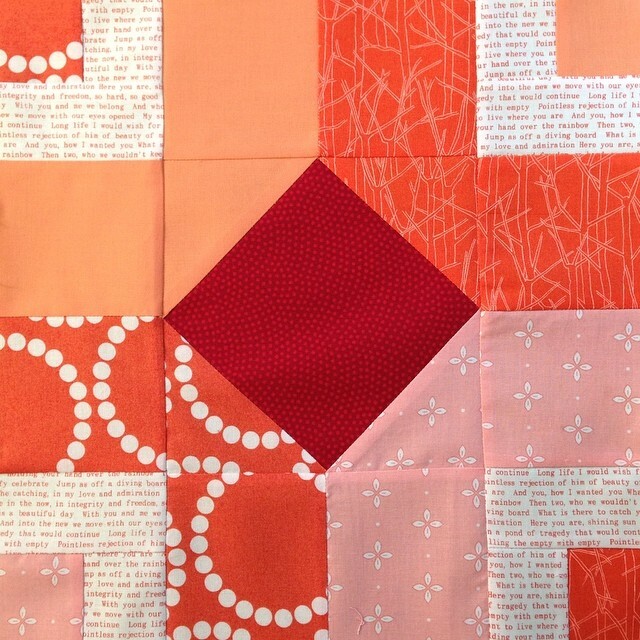 Remember how back in May I had to play catch up on my Aurifil Block of the Month blocks? And I said something about keeping up from now on? I didn't keep up. This weekend I was again playing catch up and managed to get the blocks sewn for June, July and August. 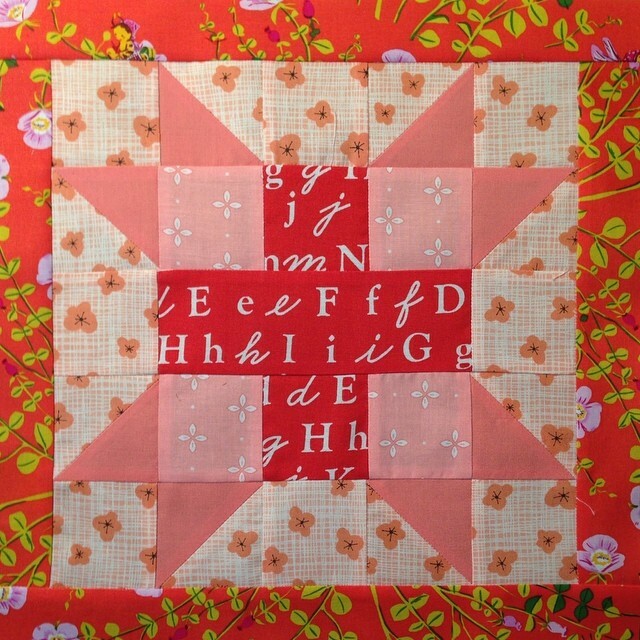 June's block is called Chain Link and was designed by Heidi Pridemore from The Whimsical Workshop. I changed up the fabric placement a little bit on this block. I didn't really feel like the two-color version that Heidi designed played to the strength of my color palette. Over all I really like this block. July's block was designed by Camille Roskelley of Thimble Blossoms and is called On the Plus Side. It's a cute star block. I had fun playing with color placement on this block, trying out several different combinations before I settled on this one. 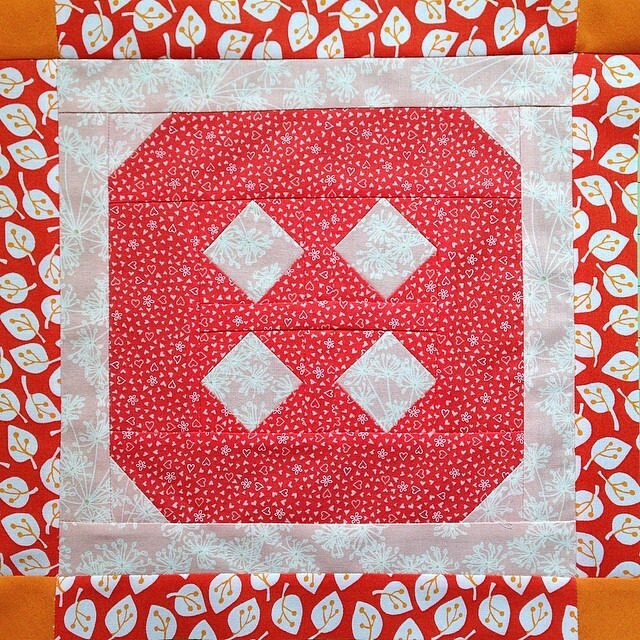 Michele Foster, of the Quilting Gallery, designed the August block called Button Block. Again, this was a quick, easy, and fun block to make. Couldn't you just see a whole quilt of button blocks stitched up for a baby quilt? Finally, here's all of my blocks together. Even though all of the blocks are unique, they still play together nicely don't you think? Four months left, here's to hoping I don't fall behind again! I'm linking up with this weeks WIP Wednesday over at Freshly Pieced. I love the colors you are using! The text print is great! I have to say I LOVE THAT color pallet! Is the same as your Sugar Blocks? you are doing a really nice job on these blocks - or course you want to see them done!! Just make it happen by making the next block a priority in your sewing room - when it is time to work on it, have all the pieces ready to go and do them as your leader/ender for the next row of stitching you do. Easy peasy - and within minutes, your next block is DONE!!!! win/win!! But mostly - have fun!!! 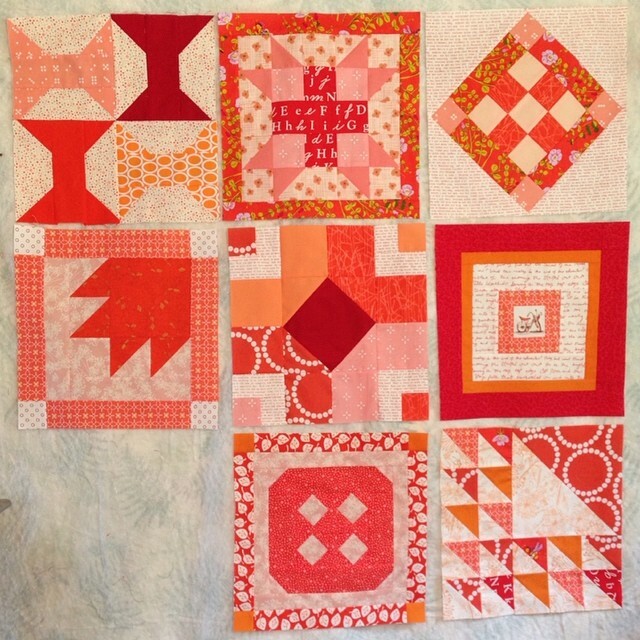 I really adore the warm coral, peach and red colours of these blocks. It is your lovely colour combination that ensures all the different blocks play together so nicely. They're looking great. I really love the colours you've chosen. They make the blocks look warm and very feminine, without being little girly. They look great - I think the chain link block is my fave of the three!